It is a drastic change and a very difficult decision for a woman when it comes to changing their hair color. And not everyone is adventurous enough to take that big step. Changing your hair color will make radical changes on your overall look and it will make you unique from the crowd. Let's be honest, getting the hair color that you want will not be easy. It will also take time, effort and money. And let us not forget, damaging the hair. But what if I tell you that you can pull off any hair color effortlessly? Curious? Read on below. To help you decide, hair extensions are a great investment if you want to change your old look and decide after that if you'll want your hair back. Yes, the secret is out! 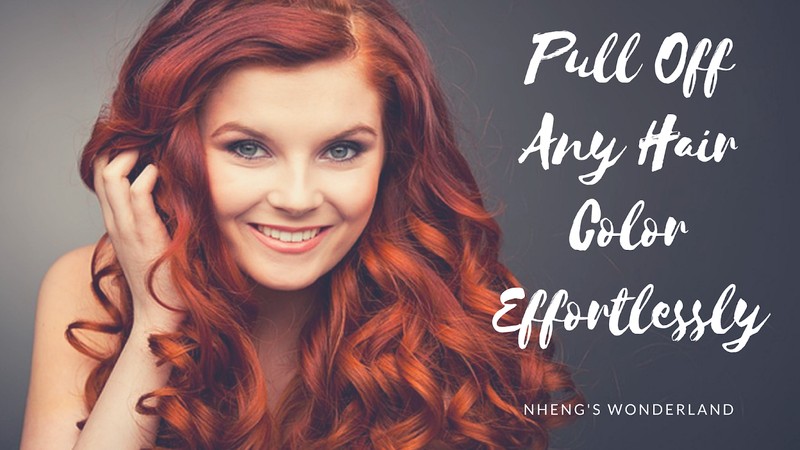 Hair Extensions will help you aim that hair color that you've been dreaming about. 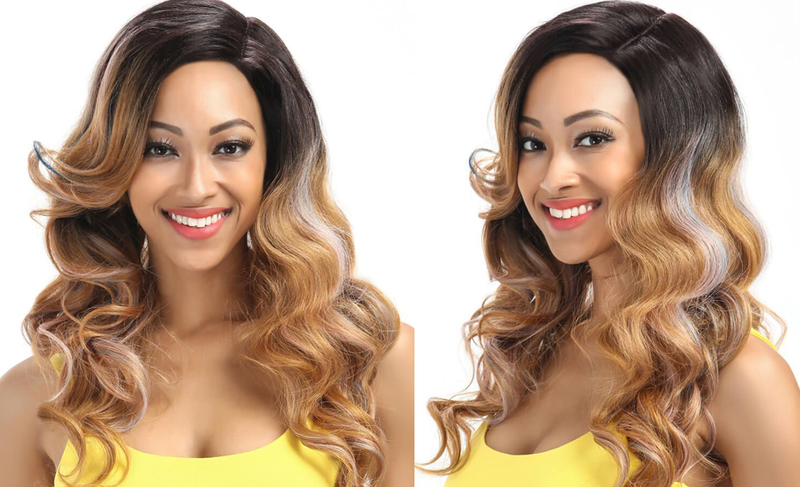 A popular kind of hair extensions that will help you rock the color that you want is Brazilian Hair. This type of hair extension has different types and it is very versatile that you can style it depending on your personality and mood. 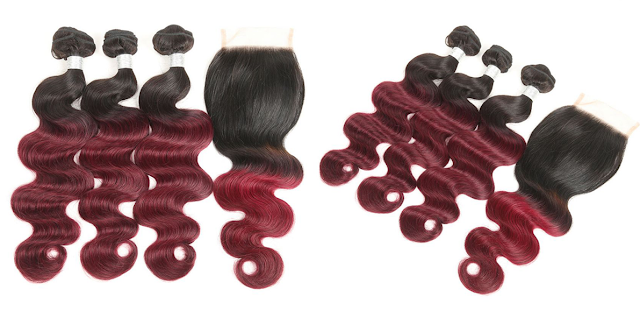 The red ombre is a hit especially for celebrities like Vanessa Hudgens, Jessie J, and Selena Gomez. Forget about having the standard ombre color and go bold with red. Below images, they are rocking their locks with red ombre color. Get this look and check the Body Wave Human Hair Bundle With Closure Ombre Wine from rebeccafashion. These are a perfect look that will show a bouncy and shiny hair. Getting it styled is endless! Curl or straight it, and you can even add bangs. Can't decide on what is the perfect hair color for you? Try on mixing the subtle color of golden brown. 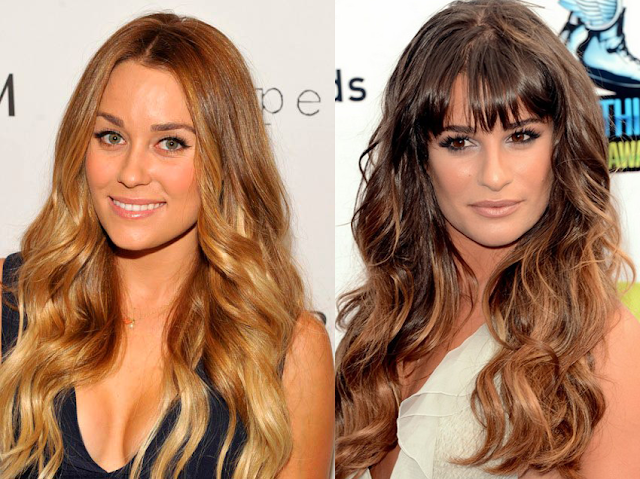 Celebrities like Olivia Wilde and Lea Michelle can't seem to get enough of this hair color. 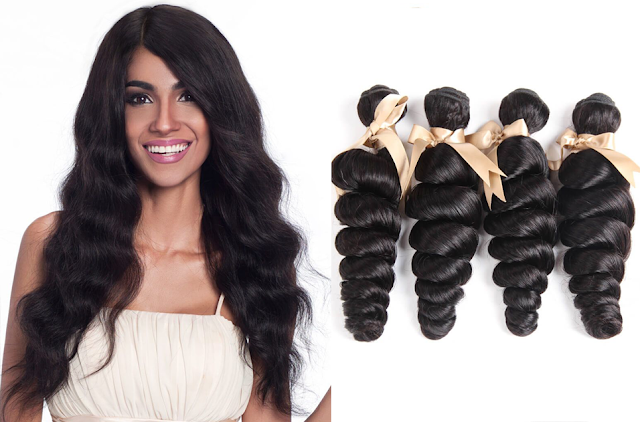 To get this look, try body wave hair extension which is the most popular of Brazilian Extensions. It has the volume if you aim for big curls. It is also manageable that you can use it everyday. Get ready to turn heads even if you are not on the red carpet. The most daring hair color that has taken over by storm is the rainbow/mermaid hair trend! If you are the kind of gal who wants to play with pastel colors like pink, green or even blue, this is the hair color for you! 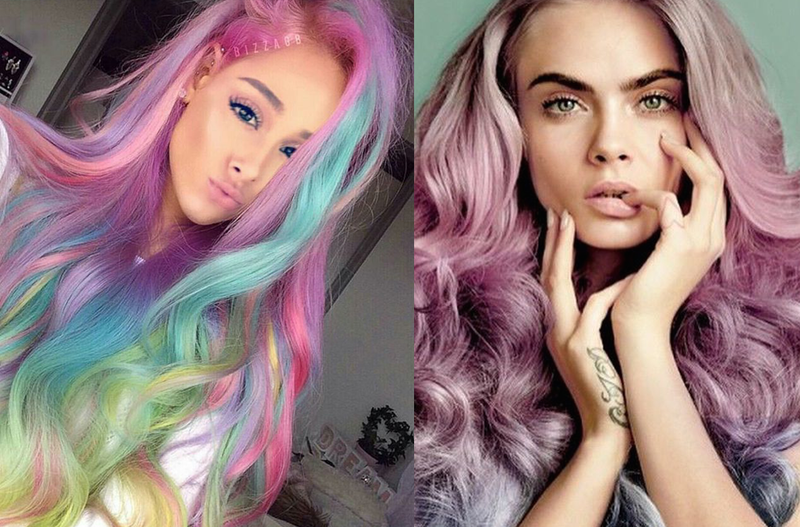 A big fan of rainbow hair colors is Katy Perry, Arianna Grande and a lot more! The loose wave bundle of Brazilian Remy Human Hair can get you the ultimate vibe of the mermaid looking hair as you can dye it according to your preference. It will also add length and volume. Remember that you need to bleach the extensions first before adding the pastel colors. There is certain care for extensions that you should be mindful of for the longevity of the colors which I hope we can tackle in a different post. A more sophisticated look is the straight and silky hair. It can bring a fashion style sleek chic. 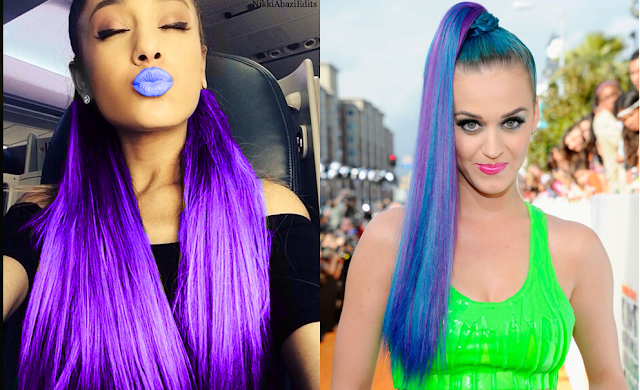 Thrown in happy colors and pull it off like Ariana Grande and Katy Perry. Put the stress away on waiting to have that long hair as the straight bundle hair extensions can pull off this look. Achieve that long fabulous look by swiping it up in a high ponytail. 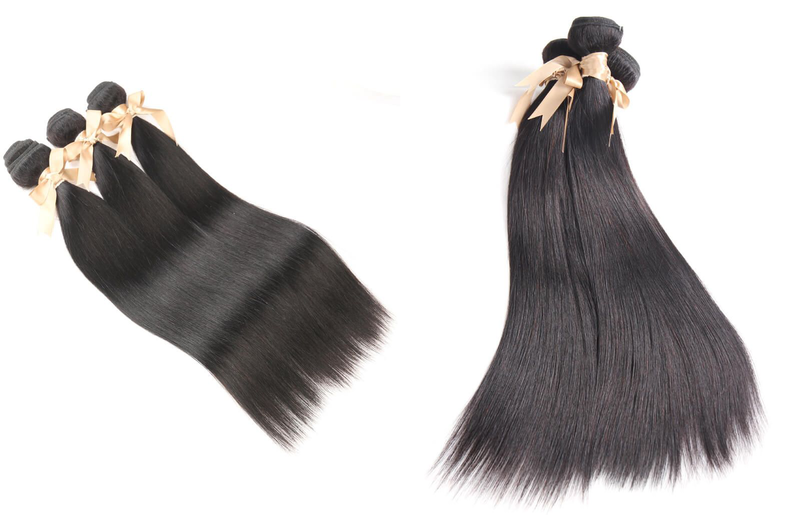 A big advantage to these extensions is that they are made from natural hair. So boost it with colors without worrying about damaging your hair. Never thought that pulling off any hair color effortlessly would be that easy? So which color would you prefer for your next hair color refresh?